This fleece flower has elliptical green leaves which turn from deep green to bronze in winter. 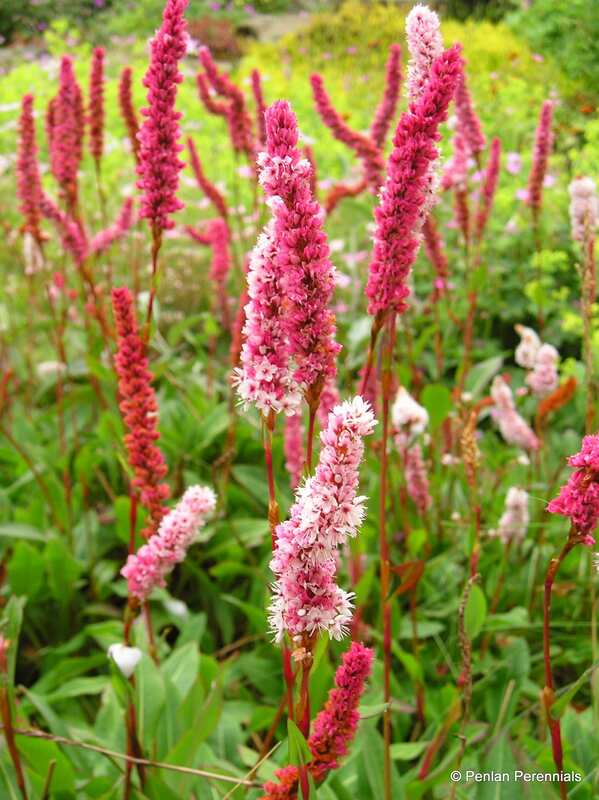 The flowers are spires of deep pinkish-red pokers which are held throughout the summer. It makes good ground cover and is excellent on banks or walls. Tolerant of very dry conditions, but makes excellent groundcover. AGM. Hardiness rating H5. Cut back hard in early spring, removing as much of the old leaf as you can. These cuttings will root quite readily.